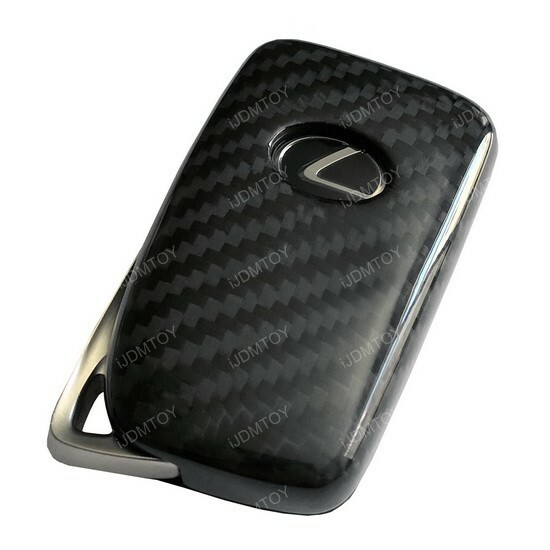 Many "carbon fiber" accessories you see out there are essentially just plastic with a woven design overlay. 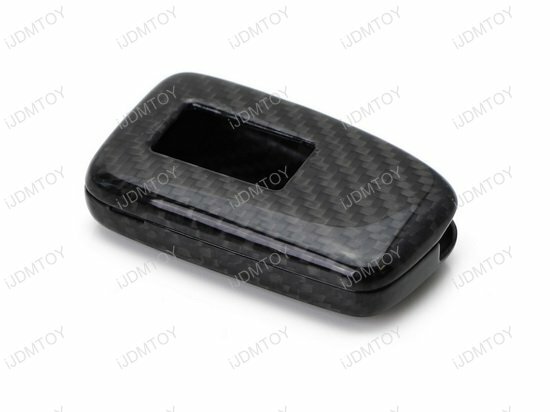 As far as looks go they certainly get the job done, but plastic is plastic; these "carbon fiber" key cases may only last you a few drops before they chip or break completely. 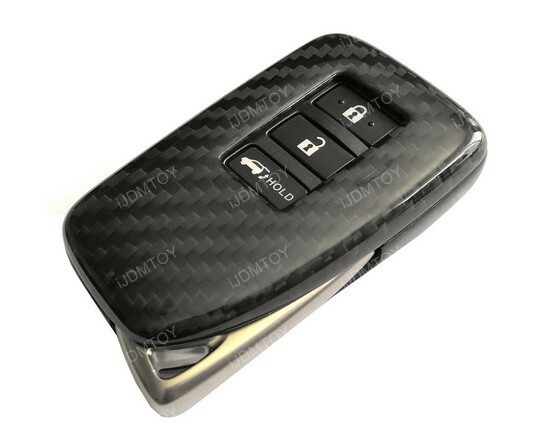 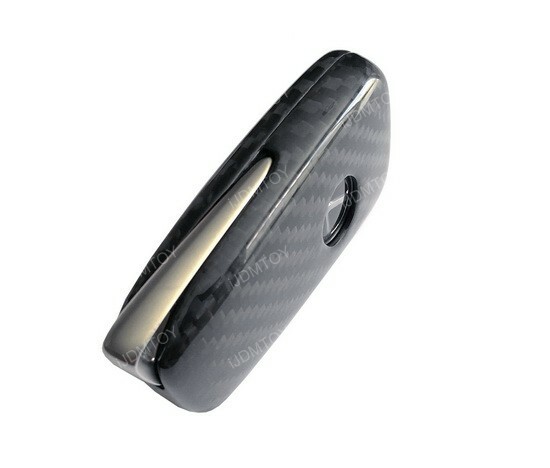 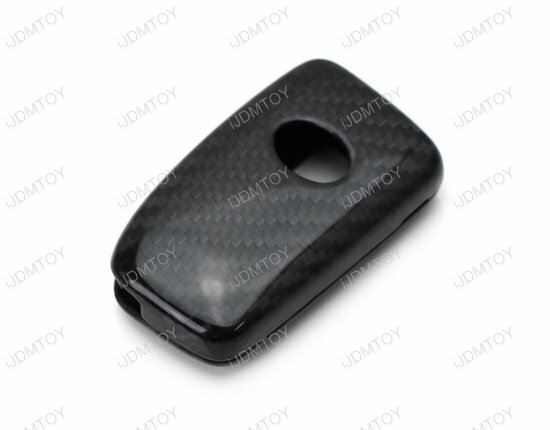 So if you are looking for real carbon fiber performance that also matches the sleek aesthetic of your carbon fiber hood, spoiler, or other aerodynamic parts, look to a REAL carbon fiber key fob case! 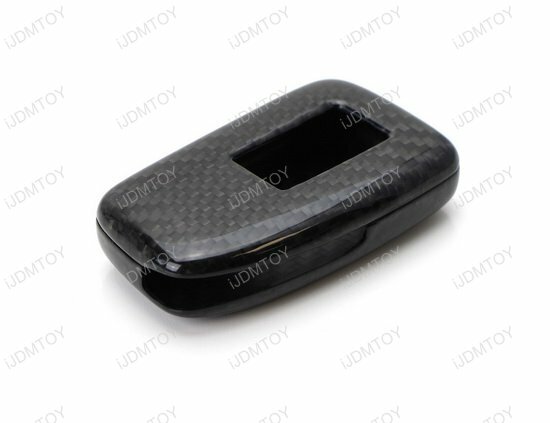 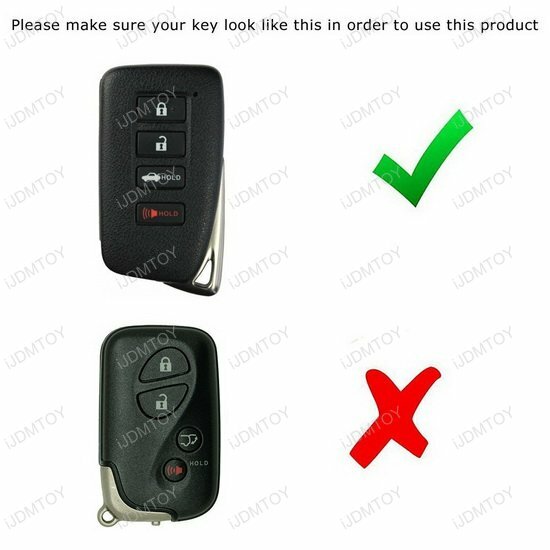 Compare your key fob with the 2nd gallery image's key fob to make sure this CF key case will fit over it. 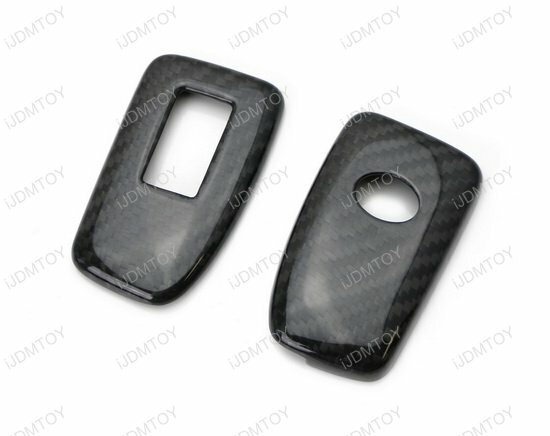 Each key fob cover piece is made of actual woven carbon fiber so you get reinforced stiffness and strength, low weight, and temperature tolerance on top of the premium woven gloss appearance for your Lexus smart key. 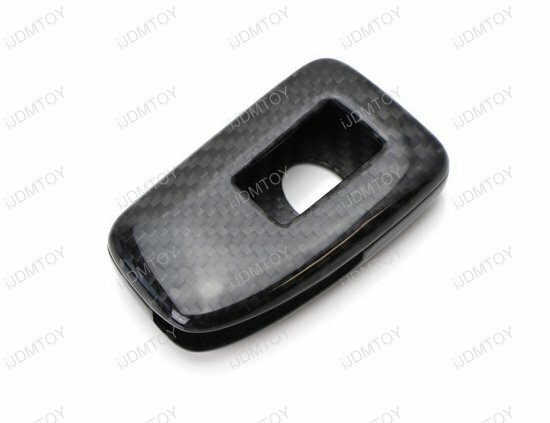 Unlike other actual carbon fiber key fob cases with a mesh design on the market, our carbon fiber key case features a 1.25mm thick full body form factor with openings for the buttons, logo, and key ring only. 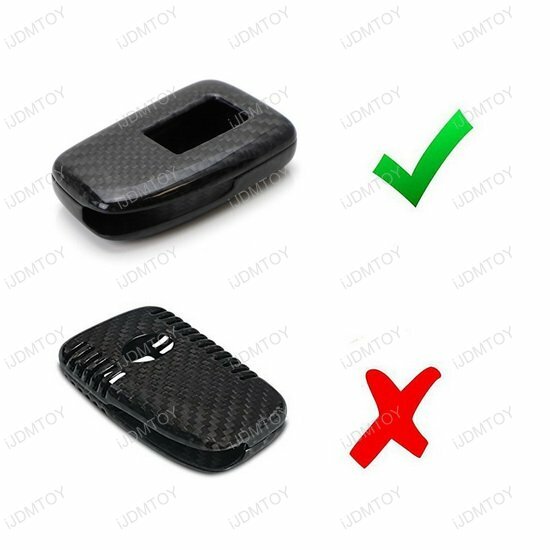 With no mesh design, there are fewer points in the key case where cracks can occur which means this glossy finish CF key case will last even longer. 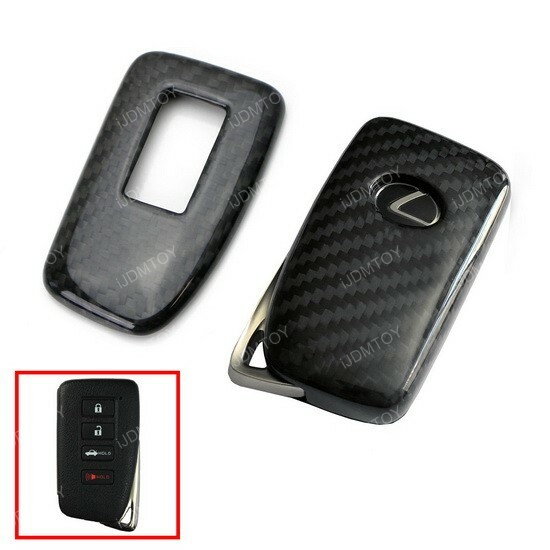 With the performance of real carbon fiber protecting and stylizing your Lexus key fob, you'll have peace of mind knowing your smart key is shielded with one of the toughest material in the world so you can spend time enjoying the key fob's standalone glossy woven aesthetic or its exceptional pairing with your other carbon fiber parts!